Every cancer patient is unique, and so is our approach to each individual’s cancer treatment. At Shenandoah Oncology, we understand the importance of providing personalized care to determine the best course of treatment for your cancer. Our physicians will consider many variables, including the stage of your disease, your overall health, lifestyle and your personal preferences. Our clinical team evaluates the latest advances and proven treatments to identify a treatment plan that meets your individual needs. 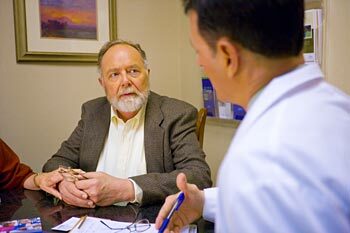 As we discuss your treatment options with you and your family, do not be afraid to ask questions. We want you to be comfortable making decisions about your care. By providing comprehensive cancer care, we understand that being diagnosed with cancer is challenging for our patients and their families. Our physicians and staff will make every effort to make you and your family comfortable. We will spend time with every patient to make sure they understand their diagnosis and treatment options, and offer educational resources and support services designed to help you and your family understand and cope with your disease. Whether it is new chemotherapy drugs designed to more accurately target cancer cells, hormonal therapy, or state-of-the-art radiation technology, you can rest assured that Shenandoah Oncology is on the forefront of cancer care. We provide the area’s largest clinical trials network, through which eligible patients can participate in clinical trials involving many of the latest investigational therapies. Thanks to the dedication of our experienced physicians and staff, Shenandoah Oncology provides unparalleled access to innovative therapies and evolving technologies, based on groundbreaking clinical evidence — right here in our community. Shenandoah Oncology offers advanced treatment technologies in a community-based setting, providing care to patients close to their homes in the Northern Shenandoah Valley. 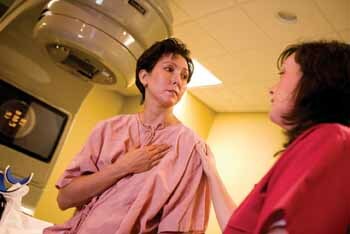 We believe in providing the most advanced cancer care, personalized for each patient. Our Tumor Board assists the medical team by developing the best possible treatment plan for our patients, giving patients the benefits of several physicians’ experience and expertise.